We go back again to Marilyn for one of her best remembered films with Robert Mitchum made in Cinemascope and Technicolor. Much of the filming was done in and around Banff and Jasper in Canada. Robert Mitchum is released from jail, picks up his ten year old son and decides to live on a farm. 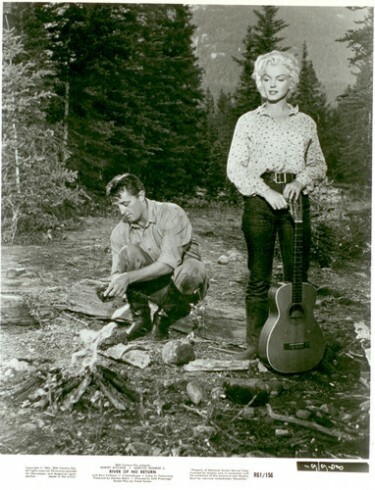 He rescues a couple from a raft on the river (Marilyn Monroe and Rory Calhoun). Calhoun wants to register a gold claim, and from then on its Marilyn, Mitchum, the boy, the raft and the river – not to mention the Indians. 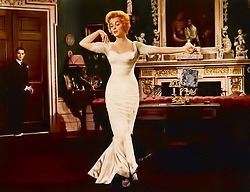 Marilyn is fabulous in this role and at her most glamorous. 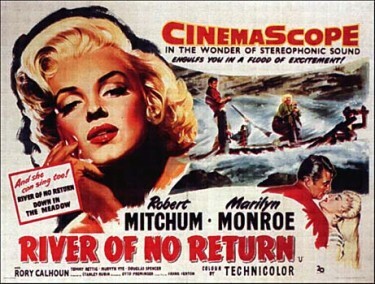 The beautiful scenery- made even more impressive by the use of cinemascope, Marilyn at her prime, Mitchum good as always together make River of No Return an outstanding western. Robert Mitchum was the only one of her leading men who knew her from way back in 1941 before he made his screen debut – in a film starring Hopalong Cassidy. Before his film career took off Mitchum had worked in an aircraft factory along with James Daugherty who had just married Norma Jean and the four socialised on occasions. He knew all about her psychological problems and when it came to making a film with her when both had become well known screen actors, Mitchum did not seem keen to get himself involved. However during the shooting of the film Marilyn and director Otto Preminger had a major fall out and stopped speaking and would only communicate through Mitchum. This may not have been entirely Marilyn’s fault because Preminger was a difficult man – a few years later he subjected a young unknown Jean Seberg to quite a difficult time during the making of St.Joan 1957. In fairness to him though he had plucked her from obscurity to star in a major film – so he did give her a great chance. In River of No Return Marilyn plays a saloon girl who gets involved with a no good gambler/drifter played by Rory Calhoun. Calhoun and Monroe almost drown in a river when Robert Mitchum rescues them and their raft. Following such a good deed Rory Calhoun steals their horses and then the three – now including Mitchum’s son in the film played by a young Tommy Rettig – go in pursuit of him. Marilyn proves to be quite a distraction and at one point Mitchum does give into his feelings ever so briefly. 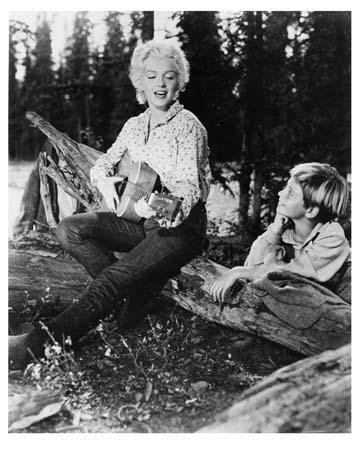 Twentieth Century Fox decided to go out on location in a big way for the shooting the film – in fact up to Banff in the Canadian Rockies – although with Marilyn and Otto feuding it was not a happy set. 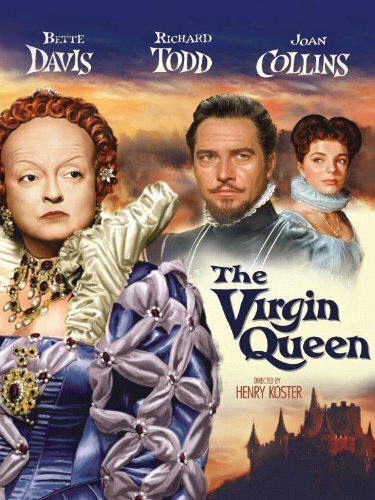 Preminger eventually walked out on the picture and Jean Negulesco finished it off. During this time Joe de Maggio, Marilyn’s husband flew up because of rumours about her and Mitchum which were unfounded . 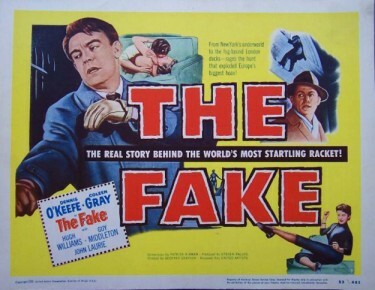 This was a film though that Otto Preminger shuddered about when recalling it in later years. It was made in Cinemascope and 3D apparently which I have only just learned about – although since writing this I cannot find any reference to it being in 3D from any official source – so maybe I have the wrong information here. I do remember seeing it up on that large wide screen and it was very impessive. Not really a film for TV though as it loses so much on the relatively small screen. 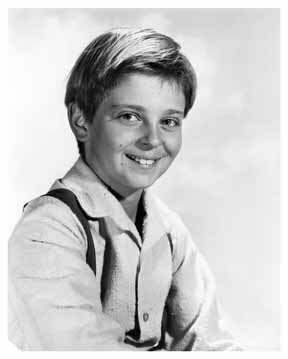 An interesting character – Tommy Rettig (December 10, 1941 – February 15, 1996) was an American child actor who later became a wizard on computer programming. He will be best remembered for portraying the character “Jeff Miller” in the first three seasons of the TV series Lassie between 1954 and 1957. He was also in another Western which has been featured on this Blog - The Last Wagon – one of my favourites a few years after River of No Return. The Naked Jungle 1954 – All those Ants !!! 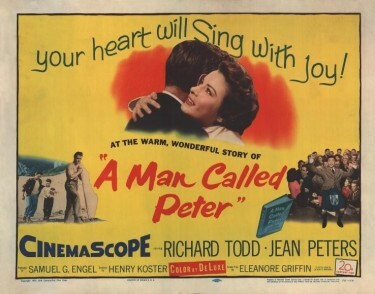 This was a big colour picture made in 1954 and directed by Byron Haskin – one of my favourites – He certainly knew what he was doing and was always able to deliver. 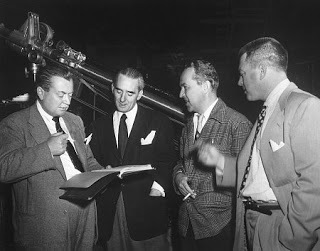 I have written before that when Walt Disney came to England to film Treasure Island in 1950 he turned to Byron Haskin who brought in a great movie and because it was Disney’s very first venture away from animation it was vital that he did. It set them up to move forward – although surprisingly Walt turned to a then relatively unknown young director Ken Annakin for The Story of Robin Hood 1952 made in England at Denham and up to that time THE most expensive film ever made here – and it showed ! It was a sumptuous and expensive production that combined so many top technicians including Peter Ellenshaw, Carmen Dillon and Guy Green who supervised the stunning Technicolor production. Ken Annakin was really made after he had a success with this one on a world scale. 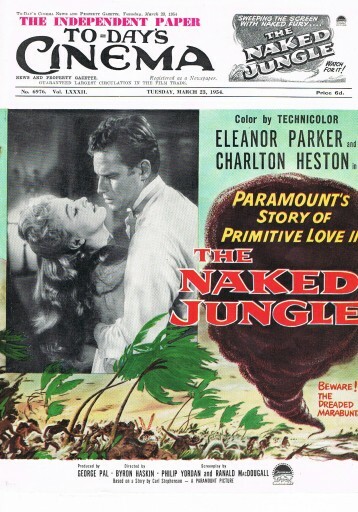 Coming back to The Naked Jungle though the film is set in Peru and stars Charlton Heston and Eleanor Parker and tells the story of an attack of army ants on a cocoa plantation. The film was based on the short story by Carl Stephenson. Eleanor Parker who had top billing in this film plays a woman from New Orleans who arrives at a cocoa plantation in Peru to meet her new husband, plantation owner Christopher Leiningen played by Chalton Heston who she has married by proxy and has never met. Leiningen is cold and remote to her, rebuffing all her attempts to make friends with him. She’s beautiful, independent, and arrives ready to be his stalwart helpmate but no one it seems has told him she is a widow. He rejects her. As she awaits the boat to take her back to the US.A. they learn that legions of army ants – the Marabunta - are on the move and will strike in a few days’ time. Leiningen refuses to give up the home he fought so hard to create and so instead of evacuating, he resolves to make a stand against the army of ants. Joanna joins the fight to save the plantation and so the film is set up for this final showdown. Ants everywhere – how did they do that in 1954 I wonder. Above – The best effects sequence in the film – Charlton Heston on the run as an enormous tidal wave from the blown dam heads his way. 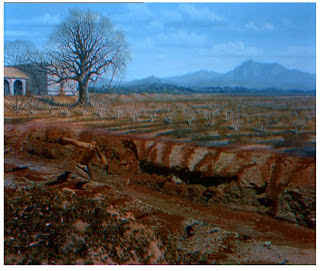 Several brilliantly choreographed tricks were employed in this terrific sequence – the first shown above is a straight forward though perfectly matched split screen of Heston in dug out trench and Jan Domelas‘ sprawling matte painting dominating the shot. Also cast in the film is William Conrad later to achieve TV fame as Frank Cannon. THE NAKED JUNGLE is based on Carl Stephenson’s story “Leiningen Vs The Ants.” There was at least one excellent radio adaptation in which William Conrad (who has a supporting role in this film) played Leiningen. 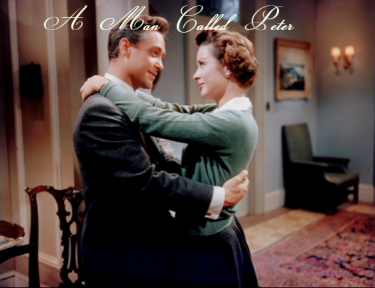 The first half of this screen adaptation is pretty ordinary mainly focusing on the romantic problems of Heston and his mail order bride Eleanor Parker. However when the ants arrive this film really takes off. One scene where the ants devour a drunk down to his bones must have looked pretty shocking in 1954. The film was reasonably successful and was actually re-released in 1960. I have just watched the film ‘My Week with Marilyn’ which is adapted from diaries and a book written by Colin Clarke the 3rd Unit Director on the film ‘The Prince and the Showgirl’ who as a young man of 24 was lucky enough to befriend Marilyn and become quite close to her during that time in England in 1956. I have featured The Prince and the Showgirl before on this blog – in fact one of the first posts I ever did. I am also pleased at least that Marilyn did come over to England and spent hopefully some happy time here. We would certainly have made her welcome – of that I am quite sure. Marilyn is a great star of this or any other era. Above – Marilyn at her dazzling best – on screen. I would ask any one reading this blog to view the film – if you haven’t already as it gives a wonderful insight into the fragility and naïvity of Marilyn and yet shows us also her incredible screen prescence and as my daughter pointed out maybe the ability either wittingly or not to manipulate people - and men in particular. In the film Olivier philosophically points out that any of them could practise their art until they were near perfect but even then they wouldn’t get 10 per cent of what she had – referring to her dazzling screen persona. The Prince and the Showgirl was Olivier’s first and last attempt at directing a film for an American movie star. If Marilyn was ill-equipped to handle Olivier’s rigid stage-influenced directorial style, then Olivier himself was equally as inexperienced at interpreting popular material and handling screen stars of this calibre. The challenge of maintaining some semblance of a working relationship between Marilyn and Olivier fell on the shoulders of Milton Greene, while Arthur Miller assumed the duties of caretaker and manager for his unstable wife. Arthur Miller was often placed in the awkward position of having to explain or defend Marilyn’s behaviour. 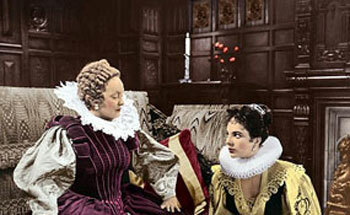 It was difficult for those living through the ordeal to have sympathy for Marilyn at the time – particularly after an episode in which she kept the elderly Dame Sybil Thorndike waiting on the set in full costume for hours. After filming had been completed Marilyn apologised to the entire cast and crew for her behaviour which was certainly not all her fault. She was in a foreign country after all where she had not been before – although a country that warmed to her in every way, and she suffered a miscarriage around this time also – so she was in a particularly frail and vulnerable state. On screen though she was Marilyn Monroe – and when she appears she displays a magnetism and a screen prescence that very few come anywhere near. Pinewood Film Studios at Iver Heath, Buckinghamshire has been the home to most of the James Bond films – and many many more as well. 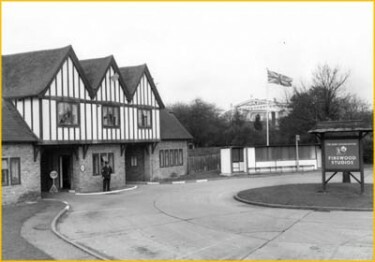 An iconic view of the entrance to Pinewood. The Garden Walk at Pinewood. Pinewood Studios was built on the estate of Heatherden Hall which was a large, attractive Victorian house with spectacular grounds. In 1934 building tycoon Charles Boot bought the land and turned it into a Country Club. 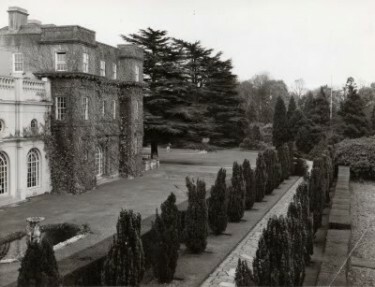 Then later in 1935 millionaire flour magnate J.Arthur Rank created a partnership with Boot and together transformed the estate into a film studio. In December of that year construction began, with a new stage completed every three weeks. The studios were finished nine months later having cost £1 million (approx. £37 million at 2012 prices). Five stages were initially completed and there was provision for an enclosed water tank capable of holding 65,000 gallons and taht is still in use today. 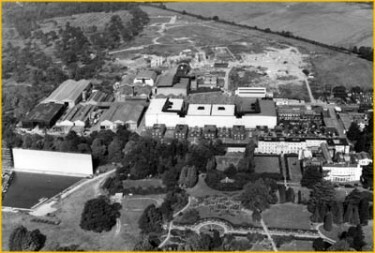 In later years both the Pinewood and the Denham Film Studios justup the road had by then become a part of their newly-formed Rank Organisation. On 30 September 1936, the studio complex was officially opened and the first film to be made entirely at Pinewood was Talk of the Devil directed by Carol Reed. There followed a hugely prolific part of Pinewood and British film history. Pinewood soon was leading the way in film industry innovation through a system that enabled several pictures to be filmed at the same time and ultimately Pinewood achieved the highest output of any studio in the world. Denham closed in 1952 effectively with Walt Disney making the last ever film there which was The Story of Robin Hood starring Richard Todd and Joan Rice – a particular favourite of mine. I always loved Denham Film Studios and wonder what might have been if the focus of J.Arthur Rank had been there instead of Pinewood. After all the two were built at around the same time but Denham was considerably larger and built on such a scale to rival anything in Hollywood or anywhere else come to that. Then we move on to the fifties at Pinewood which saw films such as in The Doctor series and Norman Wisdom with his own brand of comedy films. They did extemeley well at the Box Office during that decade. In 1960 came an ill-fated venture when some of the biggest sets ever were constructed for Cleopatra but Liz Taylor became very ill with pneumonia and the whole production was then moved to Rome. 1962 saw the dawn of Pinewoods most famous enterprise- the James Bond franchise that began when Terence Young directed Dr. No. In the same year Lord Rank announced his intention to retire as chairman. He was to be succeeded by John Davis, who had consciously moved the Rank Organisation away from film production towards more profitable areas like bingo and holidays. The sixties were buoyant years for Pinewood, with more and more American pictures being shot there in the wake of Bond and Disney’s global success. Pinewood was no longer solely dependent on the Rank Organisation to fill its stages. The studios 30th birthday was celebrated in 1966, and worked had started on new stages to accommodate every aspect of film and TV production including new viewing theatres, new cutting rooms and sophisticated stage lighting systems. The seventies were an uncertain period for Pinewood although more television productions aimed at family entertainment were filmed there including The Persuaders starring Tony Curtis and of course our own Roger Moore – later to become Bond. By that time though the Rank Organisation was in a healthy state. The Superman films held things together through the 70s. In the 90 s many large-scale productions such as Kubrick’s Full Metal Jacket and Tim Burton’s Batman kept Pinewood ticking over. The summer of 1999 saw the inauguration of two huge new state-of-the-art sound stages as the first phase of Pinewood’s on-going expansion plans. As the new Millennium dawned, the Studios were acquired from The Rank Group PLC by a team led by media magnates Michael Grade and Ivan Dunleavy. 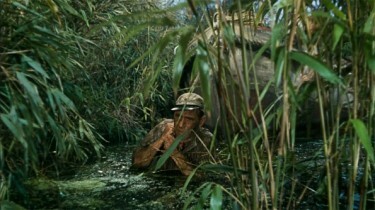 An iconic scene – At Shepperton Film Studios – One of THE great film scenes for me anyway. 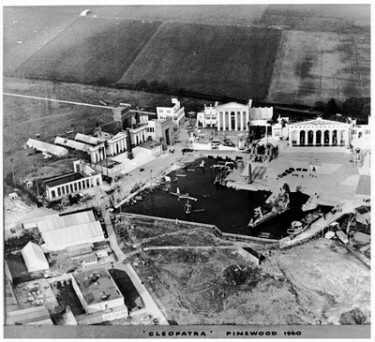 Early in 2001, it was announced that Pinewood Studios and Shepperton Studios had successfully completed a merger under the Pinewood Shepperton name. I still to this day hold a very few shares in that company although in 2012 there was a takeover by Peel Group from the Isle of Man so maybe those shares will become the subject of a compulsory purchase order – who knows. Either way there has been little upside in the price so any sale would be academic really. 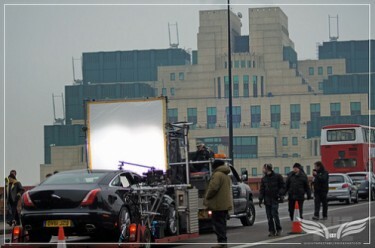 Later in 2011 we saw the production of Skyfall with much of the film being shot at Pinewood – and compared to previous Bond films there were very few exotic locations – even the scenes in Shanghai were in the most part done back home with necessary shots cut in at strategic places. 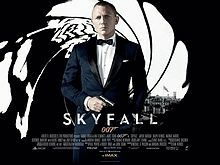 Skyfall looks like shattering the record for the biggest James Bond movie debut ever after taking in $30.8 million at the box office on Friday. That’s an average of nearly $8,787 from each of the 3,505 theaters that the 23rd film in the 50-year-old 007 franchise is playing on. That may well translate into an $80 million weekend. Adding in $2.2 million from Thursday night previews at IMAX and other large-format theatres, “Skyfall” has taken in $90 million in America, according to studio estimates on Sunday. 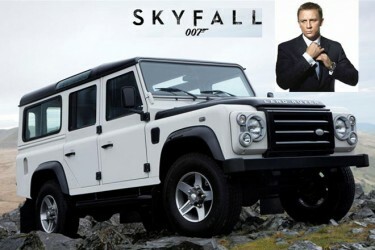 That lifts the worldwide total for “Skyfall” to $518.6 million since it began rolling out in Europe in late October. With the standards that Skyfall has set and with the quality of actors, director, set design photography etc involved, it would be hoped that this film receives the recognition it deserves when the awards are handed out next year. 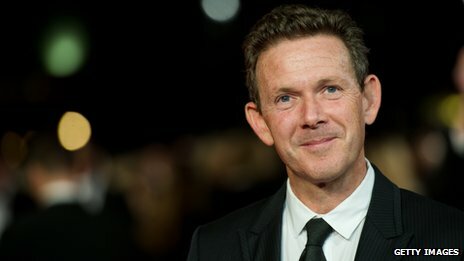 The screenwriter John Logan also hopes that his latest work on Skyfall will help the film gain such recognition at next year’s awards. In the past Bond films have received only two awards – Goldfinger won best sound effects in 1964 and a year later in 1965, Thunderball got best visual effects. He has previous form with Academy voters, having been nominated for his work writing Gladiator, The Aviator and most recently, Hugo. There has been talk that , just maybe, Judi Dench could be in line for an Oscar for her performance in Skyfall. She has had six Oscar nominations to date, with one win in 1998, for best supporting actress in Shakespeare in Love. Judi herself dismissed such speculation “Don’t let’s talk about that yet, that’s a long way off ” was her response. 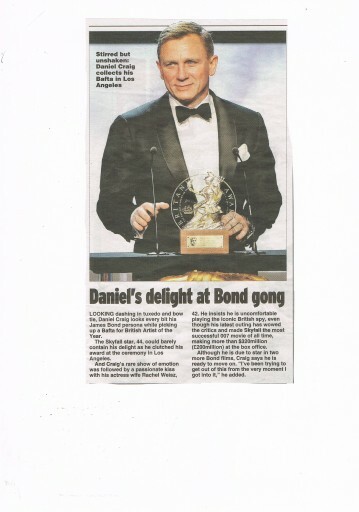 Bond himself, Daniel Craig, was also keen to avoid Oscar hype at the world premiere, reluctantly admitting “of course” he’d like Skyfall to get noticed by the Academy Awards. Skyfall has already broken UK box office records and it has taken a mere 10 days to hit £50m in ticket sales – the fastest film ever to do that. It opens in America on Friday of this week 9th November and my predicition would be that it will take the USA by storm so to speak and give audiences a welcome distration after the Presidential campaign. There have been rumours suggesting that that John Logan had already been hired to write the next two Bond movies - possibly as a sort of two-part story but that has been denied by Daniel Craig. 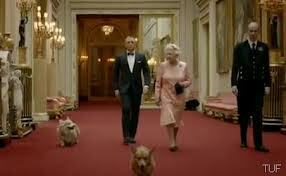 This sequence as we know has little to do with Skyfall and more with the wonderful Olympic Games in London in 2012. What a great event it proved to be – any of us doubters initially really had to eat their words – because Britain staged the event just perfectly from the quirky but brilliant opening ceremony to the thrilling events right through to the close. 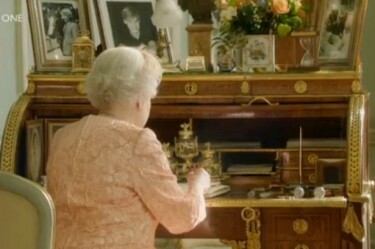 Daniel Craig stated much later that when he came to film this with the Queen he was nervous but she acted out her role extremely well and even made the suggestion that when he entered the room she should be writing at her desk which is how it was done as we know. He also said that when he heard about doing this item he was in a somewhat ‘grumpy mood’ because he was expecting a few days off !!! However – all’s well that ends well – and the sequence was very well received. Preparing for the shot on Vauxhall Bridge – for a short time the bridge was closed to traffic in order for these scenes to be filmed – something that would normally be unheard of. 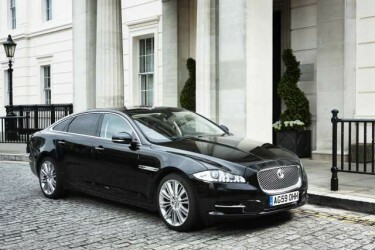 The MI6 Building in the background – soon to be the place of action. 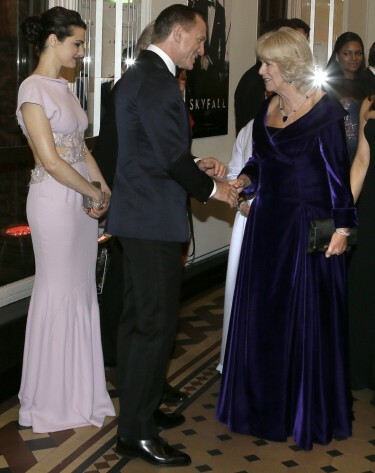 I am sure the Royal party throughly enjoyed Skyfall – everyone I know who has seen it thinks it is a terrific film – among the very best ever.